The weekly jobless claims report, which shows the number of people claiming unemployment benefits for the first time, rose 264k, this was less than analyst estimates of 270k and fell to a 6-week low. The report, often seen as a proxy for the monthly payrolls report continues to paint a different picture, when compared to the May jobs report which showed that the US economy added only 38k jobs during the month. German exports were flat in April, rising at a pace of 1.90% on a month over month basis, unchanged from March. 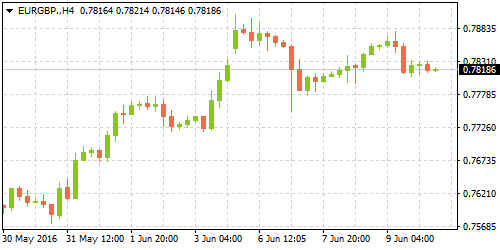 Imports logged a modest decline from March, falling 0.20% on the month and lower than March's 2.30% decline, data from German Statistics agency, Destatis showed on Thursday. 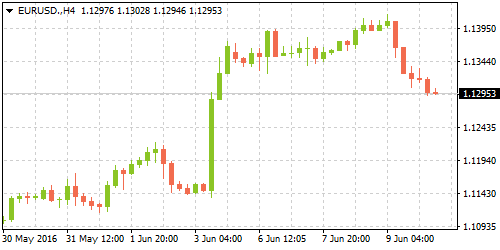 Trade surplus for the month of April was marginally higher, rising to a seasonally adjusted basis to 23.9 billion euro, up from 23.7 billion euro surplus logged in March. The unadjusted trade surplus contracted from 26.2 billion in March to 25.6 billion in April. On a year over year basis, Germany's exports advanced 3.80% while imports remained flat during the same period in April. Germany is expected to released the inflation figures for May later today with estimates forecasting a 0.30% increase in consumer prices, rising at the same pace as in April. Nonfarm payrolls in France jumped 0.30% in the first three months of the year, marking an improving growth in the labor market, data from French statistics agency, Insee showed on Thursday. The 0.30% quarterly growth was marginally higher than 0.20% forecasts. French nonfarm payrolls grew 0.20% in the fourth quarter of 2015. The nonfarm payrolls measure the change in the number of people employed through all the sectors but excluding the farming, public administration, and health and social services sectors. 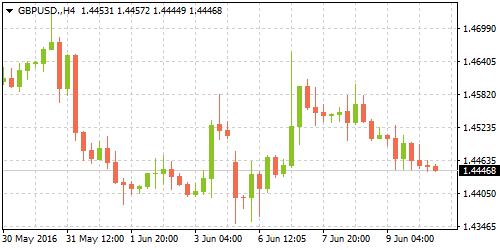 The quarterly gains in the labor markets validates the GDP growth which grew 0.60% on the quarter for the same period, while rising 1.40% on an annualized basis in the first three months of the year. Looking ahead, French industrial and manufacturing production numbers will be coming out later today. April trade data for the UK, released by the UK's Office of National Statistics showed the trade deficit narrowing to 3.3 billion GBP. This was a modest improvement from March's revised 3.5 billion GBP. The trade deficit narrowed on account of an increase in both imports and exports. The trade deficit for goods and services fell to 2.1 billion GBP for the month to a seasonally adjusted 11.3 billion. Trade balance with non-EU partners narrowed to 2.6 billion. Exports for the month of April increased 5.30% from March marking the biggest increase since February of 2010. Imports also rose 4.40% for the month. 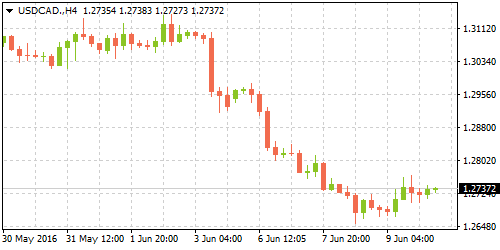 The monthly labor market data from Canada due for release today at 1230 GMT is expected to show that the unemployment rate was unchanged for May at 7.10%. The month over month net employment change is expected to show that the economy added 5k jobs during the period. However, analysts point out to the increasing volatility in the Canadian jobs report and caution a potential deviation from the expected forecasts. Yesterday, economic data from Canada included the new house prices which increased 0.30% on a month over month basis in April to rise to an annualized 2.10%. Previous reports pertaining to the housing sector however showed some weakness, more importantly with lower than expected consents for new constructions.